WTOPTV dot NET: 45 and Counting! Doris Fausey reports that the checks are pouring in for our Thurmont reunion luncheon! 45 people have already sent in their checks! This is the first time in my memory that so many of us have signed up quite this early. However, there's plenty of room left since we're guessing there will be about 60 of us .....Cozy Inn has assured us that if more folks show up and we want to spread out, the large adjoining room will be available to us. 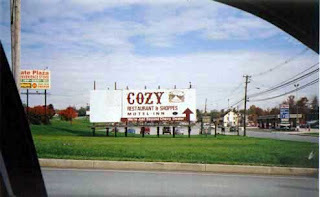 The Thurmont/Cozy lunch is scheduled for Wednesday, October 22 at 12 noon.